Pacifica Beauty is getting the word out, one satisfied customer at a time, that natural beauty products can be effective products. In addition to that, everything they make and sell is gluten-free, 100% vegan, and cruelty free. These little roll-on tubes are handy for travel because they won't spill! The line of products listed for sale on their website is long. From skin care, to makeup, to fragrance and beyond, Pacifica has created something for everyone. I recently got to try some samples from their fragrance line. These are slim tubes of perfume, that are nice and airy, and again, all-natural. They'd make a perfect little something-something for that wonderful someone on your shopping list (Valentine's Day is coming! ), but they're also good for any day or anytime. I especially like them for travel because they allow you to bring along a fragrance, without worrying about it spilling. Next time we fly somewhere, I'm putting one in my checked luggage and I'll be good to go. There are many other scents to choose from on the site, all of which are free of phthalates and other nasty chemicals. I also got to try the Stellar Gaze Length & Strength Mineral Mascara. This mascara is infused with coconut oil and Vitamin B so it hydrates each lash as it lengthens, strengthens, and adds volume. It is made from natural ingredients and comes with a plush 100% vegan brush. This is just a sampling of the great products you can get over at Pacifica. Learn more about them by visiting their website here. You can also follow them on Facebook and/or Twitter. Who wants to win? Pacifica was generous with their samples, so I'm going to pay it forward and be generous too. One winner gets one of each item pictured above. I've already got them packed up and in a box, just waiting for the lucky winner's mailing address to go on it. US entrants only. I love finding natural scents too! It's so much easier on my skin and allergies. I love beauty products. I would definitely give these a go. My mom wears tons of perfumes, but she has really sensitive skin, so these all natural ones would be perfect for her! roll on perfume what a great idea! This sounds like great beauty products. I have sensitive skin so maybe these would work for me. They Persian Rose Body Butter seems like it smells amazing, I love the package too. The variety that they offer is amazing. Hope to win for my daughter. These products look really nice. I am wanting to try a new mascara! As a makeup junkie, I love that these don't have nasty chemicals in them! I think that mascara is one that I would adore! I would love to try this brand. I love wearing perfume and love that these products are all natural. I love (and learned) that they also have a zero-waste mission which is my 2015 goal! Cruelty free is always a winner. And much rarer than it should be. I would love to try the Island Vanilla line. I love roll on perfumes! I need to check these out. They all sound like they smell delicious. I love that these products are non-toxic and good for us and the environment, but I really like the idea of a roll-on perfume. Brilliant! I'm always looking for natural products and these sound great. The packaging is beautiful! I think I am the only male person here :P But no worries, I will tell my female friends to participate, as they are always in to beauty products and giveaways. I miss wearing perfumes! I never have tried the roll on, sounds interesting! The Hawaiian Ruby Guava sounds wonderful to me! That would be my pick. The packaging is so pretty. I love that they are all natural. Gardenia is my favorite flower and favorite scent. I love that they're made with all natural products. I love that these have the roller balls. It's alot less wasteful I would think. The roll-on perfume would be great for traveling! I bet my daughter would like these! Mascara is an important topic to her LOL! Nice to know someone's making a product that is not tested on animals. Great products. I love that roll on is available. Roll-on perfumes are so handy and fuss-free! This is a new brand for me, and it sounds like it'd be a great fit. I can't wait to try the perfumes. I love trying new mascaras. This one looks like it would be a great one! I love these little roll ons. Pop them in your purse and swipe any time you need it. Hmm. coconut oil in mascara now. Very interesting. I would try that. I have never heard of these products before -- they definitely sound interesting and worth a try! I've definitely heard the perfumes last longer. I need to check it out. I found out that the products are 100 percent vegan. I'm in love with their Red Red Wine nail polish, gorgeous! All natural products is definitely something I can get behind and support! Plus they look like great quality! I think my gluten-free and vegan friends would love to hear about Pacifica products! The Hawaiian Ruby Guava roll-on scents sounds amazing! That Guava sounds awesome! That is one of my favorite fruity scents. I would love to try the seafoam complete face wash. I would like to try the DREAMY YOUTH DAY & NIGHT FACE CREAM. Sounds like they have really great products. I love perfume, so I would love to try PERSIAN ROSE SOLID PERFUME. Those roll ons would be so convenient. I tend to carry some sort of body spray/perfume with me at all times, but they can be bulky. I like the size of these. I'd never heard the company,so it was all new to me...lol...love perfume,and I'm currently looking for a great new mascara,so I'd love to win! They sure do sell a lot of different makeups. I really like the foundations. They do make some of the best cosmetics! Going to have to enter this one! I am all about mascara and I am loving that brush! I need to enter your generous giveaway! Roll on perfume is great to keep in your purse. This is a great post & giveaway! Those sound great. I bet the mascara is amazing. Any makeup wearer will love to win this! I love body butter for my dry skin. The Malibu Lemon Blossom sounds awesome! I love that the products are cruelty free. All the scents sound lovely. I like to keep a roll-on perfume in my day bag. They have many gift packages for Valentine's Day. I love that this is an all natural product line. I had never really heard about these products, yet now I have to look them up. I like what I have read, them being natural and all is the best part of it all. I love the roll-on tubes. They are very convenient and easy to travel with. I love the idea of the solid perfumes,especially the french lilac scent! This is one of those products that you just know you will love before you even try them! I also like their sea foam complete face wash and their perfect lotus universal powder. I'd like to try the Malibu Lemon Blossom Super Hydrating Hand Cream. I like the sea foam cleanser! I love any products that are natural & 100% vegan. The perfume roll-on & the Stellar Gaze Mascara looks great. 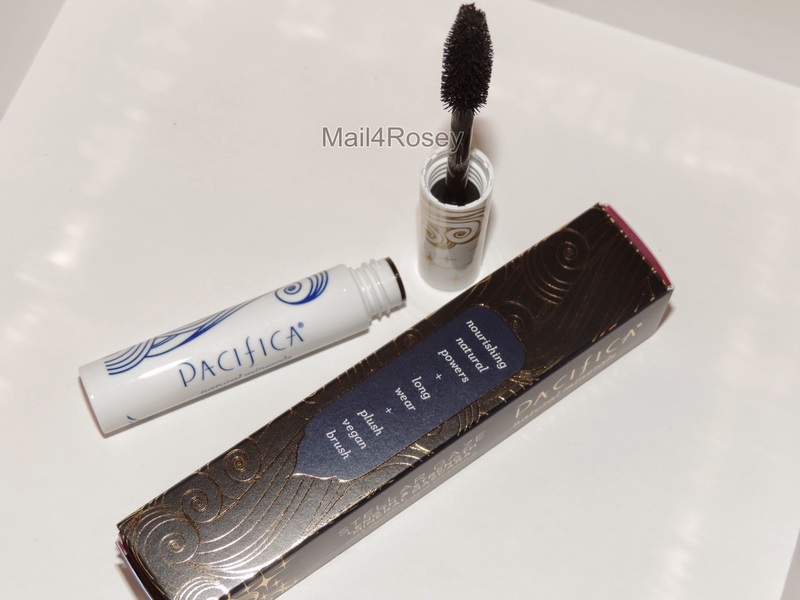 I would love to try Pacifica's products for sure. persian rose collection sounds amazing! Great giveaway and thank you for hosting! I'm always on the hunt for new and better mascara! Their products are vegan and cruelty free. I am trying to find safe products and this looks great! Their products are 100% vegan. I have seen Pacifica products at my local health food store. It looks like an amazing brand. I love the roll-on perfumes too and also the solid perfume, it lasts so long the body washes and the variety of fragrances are great to. I learned that today Pacifica has become known as the most innovative, creative natural beauty brand on the market with a full range of cosmetics, perfumes and skin care. These sound like great all natural products that i would love to try. I use roll on fragrances and love them. They are easier to control and are perfect for travel! I like the Persian Rose perfume. Well aren't these cute! If the perfume is half as awesome as the packaging I bet they're great! I love that their nail polishes are 7-free! Hi! I learned that within their body care line they have a Tahitian Gardenia fragrance. Gardenia's are one of my favorite scents. They sound so lovely! I love their kona coffee sugar detox whole body scrub. I like the GOLD COLLECTION SOLID PERFUME GIFT BOX the best. Most of their products are made in the U.S.A. I learned they have nail polish. I did not know that! I discovered their mineral color palette and I think I need it! Pacifica supports their local economy, working with local box manufacturers and other suppliers so that they reduce their carbon footprint. I'd like to try the Tuscan Blood Orange hand cream. I learned that there are 14 roll on perfume scents- I would like to try them all! i like the INDIAN COCONUT NECTAR NATURAL SOAP. I like the Stellar Eye Trio. Great waves make for great days. Don't follow trends, follow your heart. Invent a new world and keep ties to the old one. Romance, travel and adventure are all in a day's work. I'd like to try their French Lilac Body Wash.
i saw these at ulta at christmas and wanted to try them, good luck to all!